Inspiring Art Teachers to Explore Art History | Curator’s Corner: Recognize This Artist? When I was teaching art history, I guess I was a student’s worst nightmare, because on tests I would not show them images of the works that they had seen in the book and in class. Instead, I would give them other examples of the artist’s work. They had to figure out whose work was on the screen by what they had seen of the artist’s works in class. Of course, I would make it extremely easy by showing them works that were similar to what they had seen, since I knew none of them were committing themselves to life as an art historian (it’s not a bad thing, really). 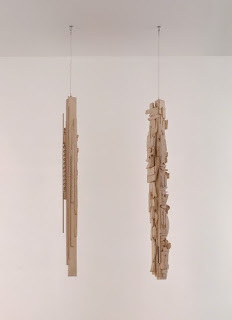 The examples in this post would definitely not have been fair attributions to spring on students if I wanted them to associate these works to what they had seen of Louise Nevelson. Even in my advanced years, I am not immune to being surprised by work that diverges from the iconic works we’ve become accustomed to seeing (and yes, First Personage and Hanging Column are from the same period as the “iconic” Sky Cathedral). One revolution in sculpture took place in Europe in the second decade of the 1900s when artists began to construct, not carve or model, in three dimensions. 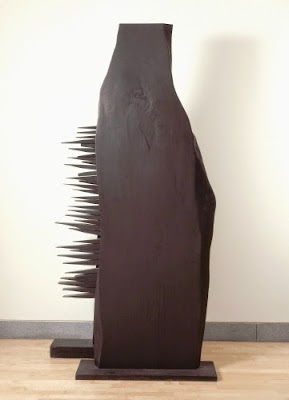 These sculptures were composed of everyday materials, and Surrealist artists included discarded and found objects. 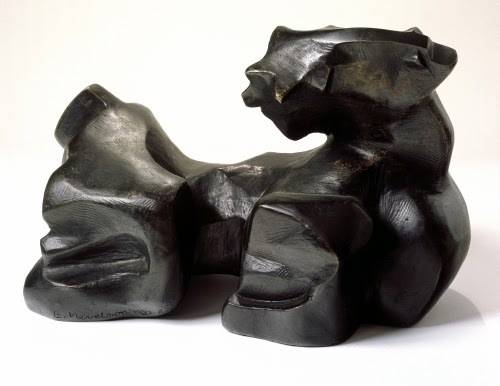 Although assembled sculptures continued to be produced, in America Louise Nevelson was probably single-handedly responsible for bringing a new significance to the genre. Although in the 1930s Nevelson’s sculpture was initially influenced by Cubism after she had studied under Chaim Gross (1904 \–1991), during the 1940s she came under the sway of Surrealism. In 1943, she created the first complete room environment in the history of American art with figures she constructed from natural and found objects, including tree trunks. It was at this time that she began collecting debris from the streets of New York. 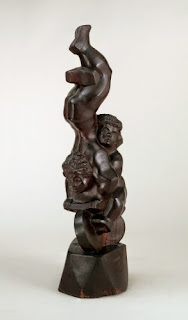 A trip to Mexico in 1950 helped solidify her sculptural vision after seeing ancient Mayan stele sculpture. First Personage comes from the period between 1955 and 1958 when her one-person shows met with critical success. This was the period of her Sky Cathedral series, which is probably her most recognized type of work. Her found object works transcend Surrealism’s precious vision, adding monumentality and a classical air thanks to their scale. The richly textured surfaces, such as Hanging Column (which resembles the Sky Cathedral mode) reflect the highly decorated surfaces of Mayan sculpture. The huge scale of her work (these are both 6 feet high) was compared by critics to Abstract Expressionism painting in that it challenged traditional notions of what sculpture was the way action painting did painting. However, such works also have affinity to Cubism’s multiple, overlapping planes. The scale, when shown with the Sky Cathedral scale works in her environments, shows an unavoidable similarity to the skyscrapers of New York, which Nevelson admitted were an inspiration. This piece shows her Cubist beginnings while studying at the Art Students League under Chaim Gross. It could easily be mistaken for one of his works, I think.